The New York Post reports that Martha Stewart Living Omnimedia will shed “about 25 percent of its 400 person workforce” on Thursday. 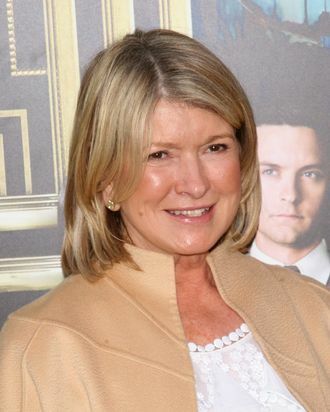 Most of the bad news is said to be headed for the company’s big magazine, Martha Stewart Living. One staffer told AdWeek that, unsurprisingly, the mood in the office is “really awful,” and added, “It’s really scary and terrible right before the holidays.” This news comes just a month after MSLO announced that it had found a new CEO, Daniel Dienst, to manage a strategy of “renewed growth” there.